"Your church must not differ from the other churches in opinion," stated Origen at the opening of the debate with Heracleides, "because you are not the false church." The bewildering diversity in Christian thought and practice presented a constant dilemma to theorists and intellectuals in early Christian communities. There was only one true, orthodox church. On this, most third-century Christians could agree, and there were plenty of reasons for doing so. Uniformity of faith was at the center of Christian teaching going back to Paul: "For just as in a single human body there are many limbs and organs, all with different functions, so all of us, united in Christ, form one body." But Christians would not always agree on how to attain unity or achieve uniformity and to what degree. Most Christians did not wish to part from the "true" church or be labeled heretic, a term to which the Christian tradition attached a negative connotation. Heresy, like anger, envy, and passion, was a product of the flesh. Yet who was to decide what was true and false, right and wrong? What was to count as orthodoxy? In the second century, Christians facing these questions, who subscribed to a tradition later claimed by (and thus closely identified with) Catholic Christianity, developed a set of propositions known as the "rule of faith" (regula fidei or κάνον), which functioned as a common denominator, a set of commonly shared ideas about God, the Christian community, and the proper relation between God and humanity. One of the main purposes of the rule was to provide a measure of doctrinal or ideological coherence to a network of church communities in the Mediterranean world that contemporaries called the "great church." Tied to one another by their acceptance of a common body of divine knowledge and sacred texts, these communities, in the third century, rapidly crystallized around a hierarchy of bishops, priests, and deacons keen on preserving church unity and doctrinal uniformity. The rule also served as the "yardstick" of orthodoxy-a standard of truth that enabled the ecclesiastical hierarchy to decide which forms of belief and worship were acceptable and which compromised too much with the world. Christian leaders in the second century had insisted that it was unacceptable to depart from the rule, but the rule itself could still accommodate a remarkable range of incongruent views, contradictory ideas, and divergent interpretations of scripture. Yet in the increasingly sophisticated, diverse, and intellectually demanding environment of the third-century church, it was clear that the rule could no longer function as the sole standard of orthodoxy, even though a large number of Christians upheld and accepted it. Origen was not the only one to acknowledge this limitation, but he was explicit about it: "Since so many of those who profess faith in Christ disagree with one another not only on little and minimal things but truly also on many great and important ones ... it is necessary first to define that which is certain and the rule of faith, [and] only then to inquire about other things." Origen was speaking not only of those Christians outside the Catholic tradition, but also of churchmen such as Heracleides and his opponents, who accepted the rule of faith but disagreed about the "great and important" things. Indeed, although the rule continued to be the repository of Christian truth and the starting point for determining the validity of any theological proposition, the ideas it comprised had themselves become the subject of philosophical speculation, interpretation, and disagreement. As H. Lietzmann aptly put it, "The rule [of faith] demanded commentary and instruction ... and the demands of instruction caused the introduction of new terms and concepts"; these, in turn, introduced new sources of disagreement. Since at least the mid-second century, Christian intellectuals had been interested in understanding the ontological realities underlying these "concepts," but in the third century, the concepts themselves attracted enormous attention. Theologians like Tertullian or Hippolytus focused on the idea of God, and as E. Troeltsch long ago noted, "The need to make this idea quite clear ... became the main concern of the Church." As scholars have pointed out, this new interest was fueled both by Christianity's need to achieve "intellectual respectability" as it parted ways with Judaism and confronted pagan philosophy and by a perceptible change in the social and intellectual makeup of early Christian communities, which were growing more socially diverse and attracting better-educated believers. By the mid-third century, therefore, Christians representing a wide variety of traditions, some of which would later be condemned as heterodox, might profess the same rule of faith, the truth of whose propositions they might agree on while understanding and explaining them in radically different ways, as in the controversies sparked by the teachings of Heracleides and Paul of Samosata and numerous others. In other words, without further qualification, the rule alone could not continue to serve as the sole criterion of Christian truth. Origen himself, having often been asked to help with difficult theological questions, expressed serious doubts about the possibility of defining the truth: "I must openly confess that my spirit has often been troubled by something a wise and pious man once told me: about God, it is dangerous to speak even the truth. Not only falsehood is dangerous, but so is the truth, when inappropriately said." The deficiencies of the human intellect troubled Christian thinkers like Origen, who recognized that perception was necessarily impaired by the condition of being human: divine truth would always be partly distorted by the prism of human interpretation, and so could never be fully grasped. "[The apostle] said not that God's judgment can be understood only with difficulty, but that one cannot understand it at all; he said that his ways can be investigated with effort, but that they cannot be investigated." Origen recognized that scripture, the source of all truth, could be interpreted in a number of ways, right and wrong. Christian leaders and theologians, then, faced a conundrum. On the one hand, scripture, to have any meaning at all in the lives of Christians, must be deciphered and interpreted. On the other, the potential for idiosyncrasy and disagreement in interpreting the word of God was always high. Indeed, exegesis was marked by constant tension between a received tradition and the need to reinvent it. As each succeeding generation of Christians sought to make sense of scripture, disputes over its meaning-what was acceptable and what must be excluded-became inevitable. Again, Origen understood this best. He knew well that the truth about God and the "great things" was never easily or wholly revealed, and he realized that the meaning of scripture could not be fixed, let alone imposed on fellow Christians. He openly admitted that uniformity of thought on matters of theology was, regrettably (to him! ), impossible. Divine truth could not be reduced to simple formulas. Statements of orthodoxy, such as the one he had presented to settle the controversy in Arabia, could only be provisional until a new understanding (or new revelation) was achieved or new questions posed that compelled one to discard, revise, or reinstate old propositions. "If something profound occurs to someone in a disputation," he wrote, "this must be expressed, but not with absolute certainty. To do so is for the imprudent, those who have lost the sense of human weakness.... Of the great things, those things that are high above us, we do not forget our own ignorance." Such an opinion was at once enlightened and mystical. One arrived at the truth through reasoning and argumentation, but only the truly inspired grasped its meaning, and then never fully, so that, in practice, orthodoxy could not exist out there an sich; rather, it must evolve in continuous debates about the meaning of God's word. The truth was meant to be rationally demonstrated and to convince by reasoned persuasion. Many other Christians shared these views, including some of Origen's fiercest critics. The impossibility of defining orthodoxy, then, was part of the challenge theology posed to Christian leaders. The notion of orthodoxy rested on a paradox. On the one hand, it referred to a set of ideas and symbols that were believed to represent or embody absolute, eternal, immutable truths about God, humanity, and the universe. On the other, these ideas and symbols were always provisionally true, their meaning malleable and constantly changing, or, as the believer would have understood it, never revealed in their entirety. As a body of knowledge, orthodoxy was perpetually in flux, its meaning deriving from the continuous collective effort of many people to elucidate scripture. The truth could be revealed only through sustained inquiry and debate, and, thus, it was alive and moving in the community. As A. Martin put it, "L'orthodoxie ne cesse de sculpter sa propre statue. Elle n'est pas, en effet, un objet fixe, rigide." For this very reason, orthodoxy could not be defined and controlled by any theologian, bishop, or single individual. At its core, there always remained a large fluid area where much was left ambiguous and indeterminate, open to speculation, innovation, and dispute. Yet, as is well known, since the second century, Christian leaders had actively tried to control the interpretation of the word of God, adding precision to slippery concepts, setting parameters for scriptural exegesis, and fixing the limits of acceptable religious experience. Since bishops had first appeared in the historical record, they had been claiming superior knowledge on all matters concerning scripture and Spirit-this was true not only in high-brow theological debates among Christian intellectuals, but also in local conflicts among the ordinary faithful, who were believed to command special forms of divine knowledge and to possess the gifts of the Spirit. These claims to supremacy in theological and spiritual matters belonged to a larger process of concentration of all forms of church authority in the hands of the episcopate, which had begun in the second century and continued during the third as the bishop's standing in the Christian community steadily increased. Although the historical development of the monarchical episcopate lies outside the scope of this book, the bishop's claim to spiritual power concerns us because challenges to it had the potential to undermine the authority of prelates. In the third century, when bishops emerged as more forceful leaders, they became sensitive to charisma and grew wary of spiritually gifted Christians. The church hierarchy grew suspicious of prophets, wonderworkers, inspired teachers, and other charismatic lay Christians, even confessors. Spiritual gifts were a vital source of power in the Christian community, but that power remained diffuse while authority in the church was diffuse. As the demands on the bishops' patronage and protection expanded, and bishops themselves were recognized as de facto community leaders, they also claimed authority in spiritual and doctrinal matters-authority they declared they had received directly from God. The people will gather ... with the council of elders and the bishops.... With the assent of all, the ... bishops[or everyone? ]will place their hands upon him.... Everyone will keep silent, praying in their hearts for the descent of the Spirit. Then, one of the bishops ... shall lay his hand upon him who is being ordained bishop and pray: "God and Father of our Lord Jesus Christ ... now pour out upon him the power of the commanding Spirit which comes from you, which through your beloved Son Jesus Christ, you gave to your holy apostles, who founded the Church in every place ... for the glory and endless praise of your name." This text is fraught with problems of authorship, dating, and redaction, which I cannot address here, but two elements of the ceremony are generally accepted: the laying on of hands and the participation of the faithful. By placing his hand on the candidate and calling on God to pour forth his Spirit, the officiating bishop channeled heavenly power onto the ordained bishop before the eyes of an audience that, through earnest prayer, contributed to make the glorious descent of the Spirit possible. Such compelling scenes were meant to mute any doubts about the divine origins of episcopal authority. Cyprian was not playing with words when he remarked that it was "God who made ... a bishop." By the mid-third century, prelates were openly fashioning themselves as living embodiments of God's spirit, and the possession of the Spirit validated their exalted position. At the time of Origen and Heracleides, however, these developments still had the flavor of innovation. For many Christians, spiritual authority was neither the prerogative of priests nor a function of the episcopal office. The interpretation of the word of God must be a matter of inspiration, not of standing, and as such it transcended the episcopate and its claims to greater wisdom and higher power. Tertullian, for instance, envisioned "a church of the Spirit through spiritual individuals," insisting that "a collection of bishops does not make the church." Origen considered the church's "deep" knowledge to be immanent in the body of the church-that is, to be located equally in its leadership and the community of rank and file. He spoke of the handing of collective knowledge from one generation to the next since the time of the apostles, through the praedicatio ecclesiastica, not the bishop's agency alone. Apostolic teaching was the source of all truth, but that teaching was not a monopoly of bishops. As H. von Campenhausen observed, even though Origen acknowledged and fully supported bishops as leaders of the great church, he could not bring himself to agree that because of their rank and liturgical functions, they possessed any more wisdom than their fellow Christians, clerical or lay like himself. "It is one thing to discharge the duties of the priest, quite another to be learned and perfect." Origen's critique of the monarchical episcopate was informed by the notion of a church that could, within the limits defined by the apostolic tradition (which he supported), accommodate alternative sources of authority as well as, we must suppose, variety in religious experience. Origen believed that scripture must be interpreted and explained rationally. Knowledge of the truth resulted from responsible inquiry and careful reflection and could not be arbitrarily imposed. Origen's views on this matter may have been conditioned by his acceptance of free will as a fundamental principle that shaped human nature (and not vice versa). His insistence that humans were free to govern their own lives made him wary of unfounded interpretations of God's word and impatient with rash, imperious judgments. "God created things this way so that each spirit or soul might not be coerced to act against its own will, but might follow its own free judgment." This must be most true of life in the church. In theory, Christians could find out for themselves the meaning of the divine word, and for what he or she found, each individual alone was responsible to God. In the search for the truth, then, bishops may well be dispensable; their duty was to gather and guide God's people, to cleanse people of sin and to prepare them to receive and celebrate, with a clear and unhindered mind, the mystery of God. Prepare, not impose; guide, not coerce. No other Christian theorist of the early church wrote of human liberty with such clarity and daring. In so many ways Origen stands alone, a towering figure in the intellectual landscape of the third-century church. His views on the priesthood, however, were in no way unusual. Outside the learned world of the Alexandrian didaskaleion and other erudite circles, many pious, ordinary Christians, clerical and lay, would have shared his views, taking liberty of judgment for granted and refusing to subscribe blindly to the bishops' pronouncements or to accept their teachings on God and other matters passively and uncritically. Many Christians, albeit willing, like Origen, to embrace prelates as community leaders or patrons, realized the insufficiency of bishops' claims to be the only bearers of the Spirit and the source of all divine truth. We have seen how the ordinary faithful in Arabia and Antioch did not hesitate to question the orthodoxy of Heracleides and Paul of Samosata. But at every turn in the history of the early church, we find pious Christians seeking for themselves more intimate and meaningful forms of religiosity and direct, personal communion with divine power. 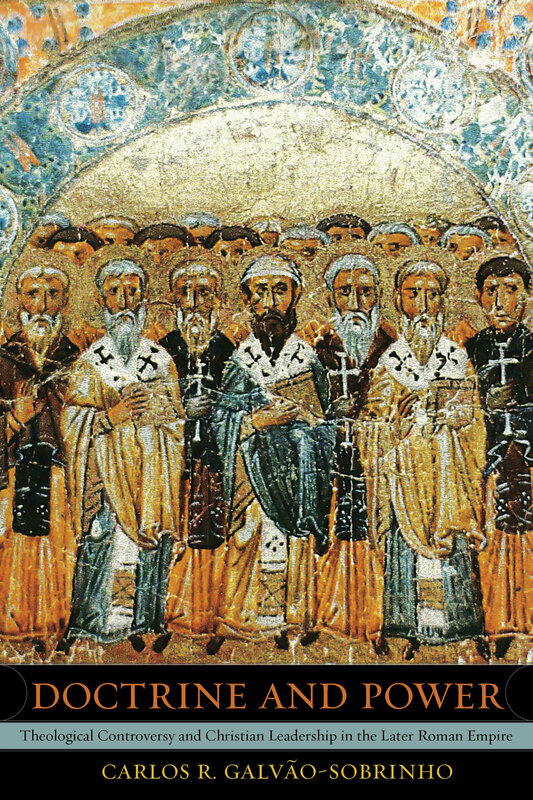 Origen described them as "inquisitive souls who lacked the nourishment that saves"; devout Christians who were "constantly seeking"; visionaries, prophets, martyrs, "heretics," ordinary men and women, who, nonchalant, did not hesitate to dismiss prelates' claims to be sole arbiters of the truth. They came from all corners of the empire. These pious Christians, whether in Asia Minor, North Africa, Rome, or Alexandria, understood spiritual power as a numinous, harrowing presence, diffused throughout the Christian community, not the exclusive possession of any member or of any bishop. It is not surprising, then, that bishops tried zealously to check the enthusiasm of these inspired Christians, chastising and rebuking those who refused to be disciplined, condemning and labeling them schismatics, heretics, or rebels as the occasion demanded, and excluding them from the church. And if it was impossible to ban all the operations of the Spirit in the community, bishops sought jealously to limit them, to channel divine power to their own advantage, and to control the interpretation of scripture. As bishops assumed greater powers of direction, possession of God's spirit served to justify their claims to supreme authority in church communities. Paradoxically, however, this development also created areas of vulnerability. By tying their authority more directly to their command of spiritual power, bishops also exposed themselves to new challenges, because, in theory, every time a prelate's claim to possess the Spirit was contested, the very foundations of his authority were also called into question. The greatest threat came from scriptural exegesis and theological speculation, unpredictable and treacherous fields in which bishops were expected to be able to make or to sanction pronouncements on the truth-to state, for instance, "what God is." Here everyone agreed that only those who possessed the gift of the Spirit could discern and enunciate the truth. But since the truth could not be fixed and interpretation of scripture could never entirely be under the control of a single bishop, prelates could not avoid being exposed to doubt, speculation, and dissent-that is, the bishop's capacity to pronounce the truth attracted constant scrutiny, and because that capacity had become a sign of the inner workings of the Spirit, doubts about the bishop's orthodoxy suggested to the outside world that the inner light of the Spirit had been dimmed. "The Spirit," Hippolytus wrote, "[confers] perfect grace on those whohavethe correct faith," which was another way of saying that the spirit of God abandoned those who strayed from the truth. Here, then, is the other part of the challenge that theology posed. A hint of heresy or spurious teaching signaled the depletion of the gift of the Spirit. In the eyes of the faithful this was a problem because the Spirit invested prelates with the powers of redemption and salvation, the "power of the keys"-regenerative and transformative power that regulated admission to and membership in church communities, and that, invoked in the rituals of baptism, excommunication, penitence, and ordination, controlled the boundaries of the church community. "If one could baptize, he could also give the Holy Spirit," remarked Cyprian, "but if he cannot give the Holy Spirit ... he cannot baptize ... since baptism is one and the Holy Spirit is one." So also the bishop of tiny Rusicada: "A man who is a heretic ... cannot give what he has not; much more a schismatic, who has lost what he once had." Loss of the Spirit invalidated a bishop's ministrations, his capacity to define the boundaries of the community, and his qualifications to lead the church. And so it was for Heracleides and Paul of Samosata. Under suspicion of heresy, these two prelates saw their standing slip in the eyes of many among the faithful, who questioned not only the truth of their teachings, but also the legitimacy of their leadership. 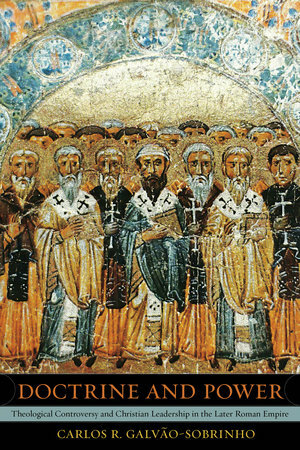 Episcopal authority, then, as it expanded in the third century, was intertwined with orthodoxy-a relation that helps explain why theological disagreement remained a source of tension and conflict in church communities. When controversy arose, not simply theological concepts were at stake, but also always prelates' control of the Spirit and the legitimacy of their claims to leadership. This vulnerability was inherent in the episcopal office as it took shape in the third century. In theory, neither the bishop's claims to possess God's spirit nor his prestige and his control of the resources of the community could entirely remove it. Indeed, considering the success of the monarchical episcopate, it may seem surprising that a matter of great importance, the legitimacy of the bishop's authority, had come to rest on such shaky foundations-concepts believed to embody divine and immutable truths, whose meaning was constantly shifting. This was possible, I suggest, only because even as theological dissent divided church communities and challenged priestly authority, churchmen, in practice, developed mechanisms to manage and minimize that challenge. Indeed, in contrast to priests, prophets, teachers, deacons, and others, who were often excommunicated and expelled from the community, we hardly ever hear of bishops being deposed or removed from office for doctrinal reasons. In chapter 2 we will examine the impact of doctrinal challenges on the church leadership, in particular how prelates responded to these challenges. Their response was such that they were almost always able to diffuse the threat theological disputes posed to their leadership. Whenever disagreements emerged, bishops demonstrated remarkable flexibility and a willingness to reach consensus through debate and compromise. If prelates remained vulnerable to the challenges of theology, in the third century their reaction to those challenges considerably attenuated that vulnerability. During the fourth century A.D., theological controversy divided Christian communities throughout the Eastern half of the Roman Empire. Not only was the truth about God at stake, but also the authority of church leaders, whose legitimacy depended on their claims to represent that truth. In this book, Galvao-Sobrinho argues that out of these disputes was born a new style of church leadership, one in which the power of the episcopal office was greatly increased. The author shows how these disputes compelled church leaders repeatedly to assert their orthodoxy and legitimacy—tasks that required them to mobilize their congregations and engage in action that continuously projected their power in the public arena. These developments were largely the work of prelates of the first half of the fourth century, but the style of command they inaugurated became the basis for a dynamic model of ecclesiastical leadership found throughout late antiquity. Carlos Galvão-Sobrinho is Associate Professor of History at the University of Wisconsin, Milwaukee.